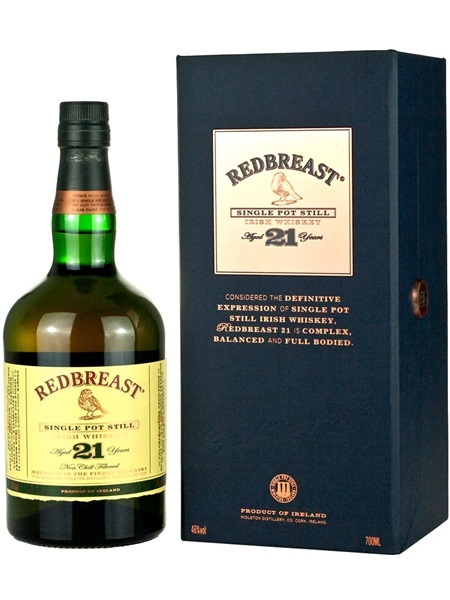 This expression is the jewel in the crown of the Redbreast core range. It was matured in a first-fill ex-bourbon and first-fill ex-oloroso sherry butts for a minimum of 21 years and bottled at 46% ABV. It is non-chill filtered and triple distilled.